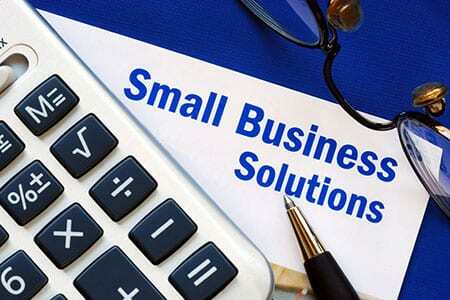 SME’s Business Insurance & What a Broker Can Do For You ? In Nov 2018 MYOB’s Business Monitor Snapshot revealed that 53% of SME businesses felt that the New Zealand economy would decline over the next 12 months, with 26% stating that their revenue had fallen over the last year. This trend is a ‘significant reversal in confidence’ from just prior to the 2017 election, when 42% of businesses were confident that the economy would improve. It is a well-documented fact that underinsurance and lack of insurance has been an issue facing SMEs over the last few years; however, with the latest plummet in business confidence, it is now more vital than ever that business fully appreciate the importance of having comprehensive cover in place and regular reviews of their insurances and requirements. Regular review (at least once a year) 46%. When my broker, accountant or other advisor recommends me to 22%. Insurance Changes or Events 37%. When there is a change in insurance premiums 32%. When I’ve experienced a significant insurance event (making a claim) 10%. When making large business purchase 12%. When transitioning to a different business model or type 8%. When upgrading IT systems 8%. When there are significant changes to staffing levels 8%. Only 16% of SME owners either had not reviewed their insurance or had no idea what insurances they had in place. – 50% were between 18-44 years of age. – 65% were 45+ years of age. – 33% were between 18-44 years of age. – 39% were 45+ years of age. – 37% were between 18-44 years of age. – 18% were 45+ years of age. – 19% were between 18-44 years of age. – 14% were 45+ years of age. Those who do use Brokers understand and appreciate the value they bring, however the uptake is lower on Brokers is lower with female SMEs. Female SMEs main challenge is lack of time, for themselves and their families 26% compared to 19% male SMEs. 58% use a broker to save time, so they can focus on their business. 45% rely on a broker or advisor’s expert knowledge and advice. 39% attain additional peace of mind by using a broker to find the right insurance. 22% use a broker to get cheaper prices. 69% of SMEs with six or more employees are more likely to purchase insurance through a broker or advisor, compared with 57% of SMEs with one – five employees. and more importantly more than half of brokers’ clients gave an 8 out of 10 for service satisfaction. Even if your business doing well, you still need a plan if fortunes change for your customers or suppliers. Small business owners in today’s world should have Business interruption insurance, so that any abrupt change in circumstances doesn’t impact them too greatly. “Lack of time” was one of the biggest reasons provided by small businesses owners of 1-5 staff for not securing the right insurances. Most of the “big risks” can be covered by insurance e.g. not being able to trade, cyberattacks, increasing costs, loss of income etc. Whether your business is large or small it is always worth knowing what your insurance covers and what it does not. By using a broker this will allow you, not only to get experienced and wise counsel about all aspects of insurance, it will also allow you to focus on running your business, knowing you are covered for a range of risks. Brokers leverage their expertise to understand their clients’ needs, and help them select the right insurance solutions at the best possible price. Their duty is to act in the buyers interests, rather than the insurance companies’. They are independent of any insurer and can offer a wide range of plans from many different insurers. Explain aspect of your policy or note things that you may not have considered.